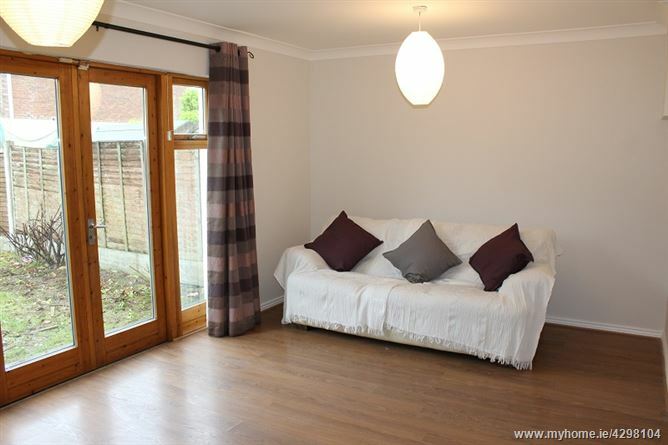 No 5 Gazelle Lane is a 3 bed terraced house traditional two storey house (c.92.9 sq.mtrs) presented in excellent condition throughout. 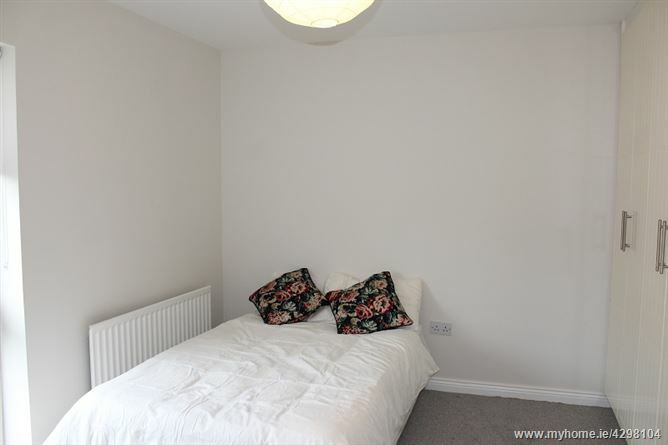 Some of the special features afforded to this property are: -. 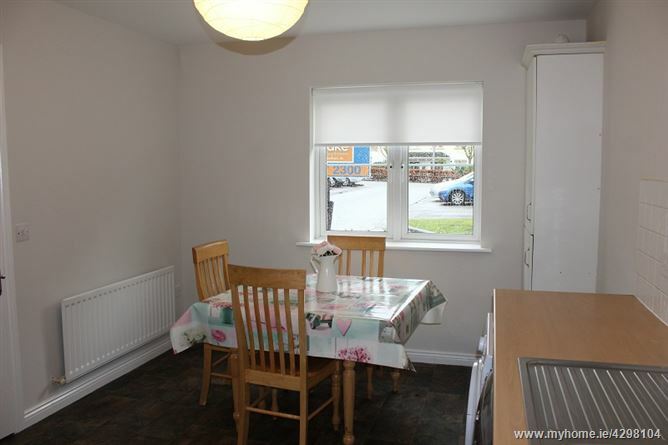 Immaculately decorated throughout, bright well-appointed accommodation the property has two car park spaces to the front and garden to the rear. No. 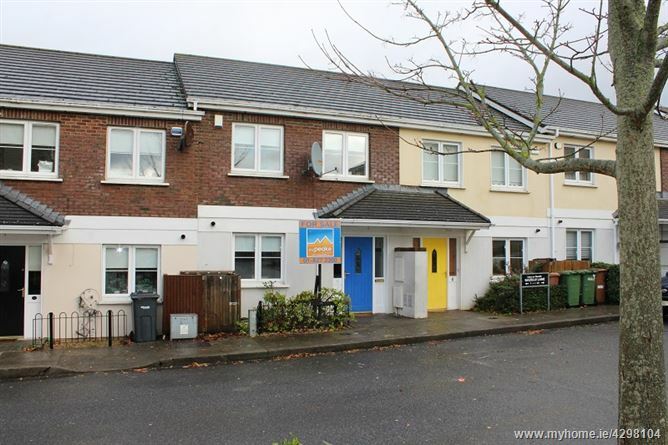 5 Gazelle Lane is located in the development of Tyrrelstown which is approx. 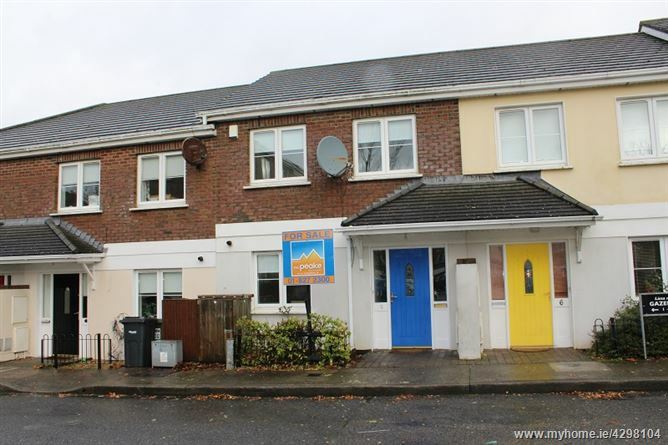 8 miles from Central Dublin, south of Hollystown golf course, set between the Navan and the Ashbourne Road, and within 2 miles of the Blanchardstown Centre. The development is close to all amenities the Blanchardstown centre has to offer, and has the added benefit of being located within walking distance of The Tyrrelstown Town Centre which include retailers such as Supervalu, Lidl, Paddy Power, Home Interior shop, Hickeys Pharmacy. 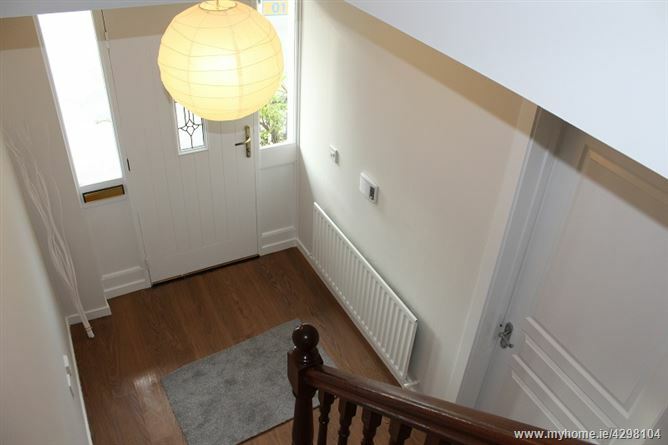 Entrance Hallway: Laminate flooring, Light fitting & Guest w.c off. 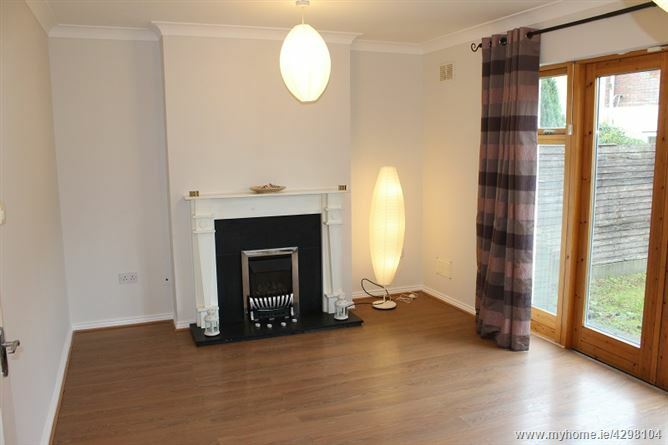 Guest w.c– Lino flooring, sanitary ware w.h.b with tiled splash back & w.c.
– Laminate flooring, French double doors to rear garden, and wooden feature fireplace with gas fire insert. 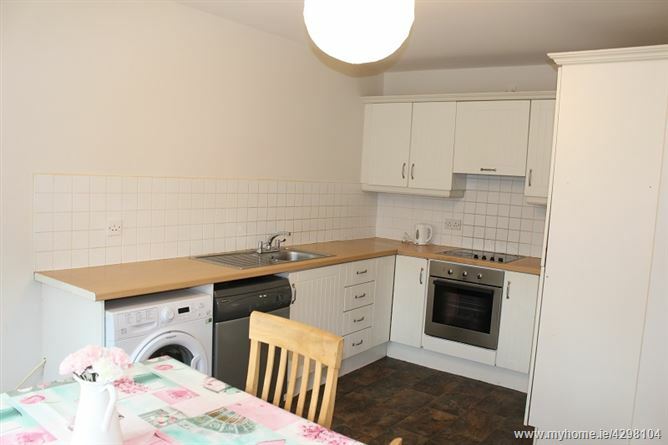 Kitchen / dining room– Lino flooring, tiled splash back, fitted kitchen with 4 ring hob & electric oven, washing machine and dishwasher. 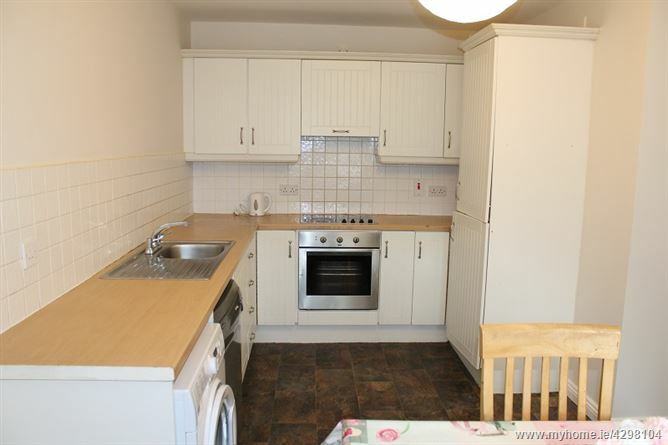 En suite– Lino floor, tiled splash back, w.c, w.h.b and shower cubicle. 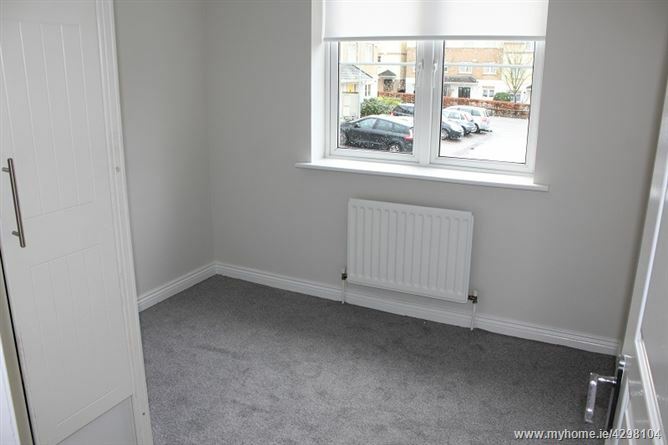 Bedroom 2 – Carpeted & Fitted wardrobes. Rear garden – Garden in lawn with barna shed. On entering Tyrrelstown proceed down Ballentree Boulevard, and take the last right turn before the roundabout, See sign.